Strong 2mm Thick Fully Welded Steel Construction (Including Fully Welded Top). Using the latest CNC High Definition Plasma Cutting & Pressbrake Technology To Achieve Consistent Accuracy & High Quality. Full Length Anti-Jemmy Bar. 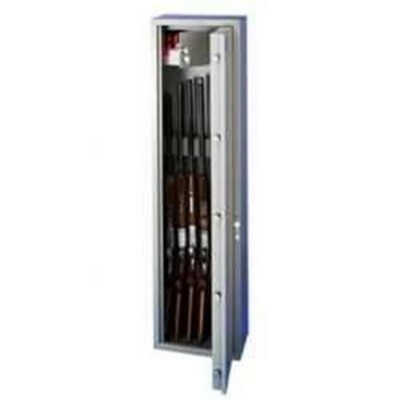 For Increased Protection To Lock Side Of Gunsafe. Recessed Door. With Multiple Folds On Door & Door Housing To Maximise Strength & Resistance To Attack. Superior Strength 7 Lever Safe Deadlock(s). 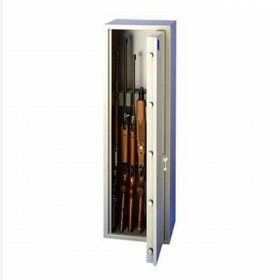 With Forged Steel Bolt, Reinforced Casing & Reinforced Internal Mechanism. 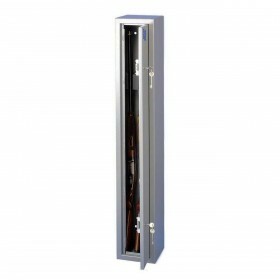 Double Skinned Vault Type Door. 5 Point Locking With Electro-Plated Solid Steel Locking Pins. 7 Lever Lock With Double Bitted Key. Radial Tumbler Lock On Internal Compartment. On Models With Locking Top.